Six months of life with someone you love, is too brief. Far too brief. 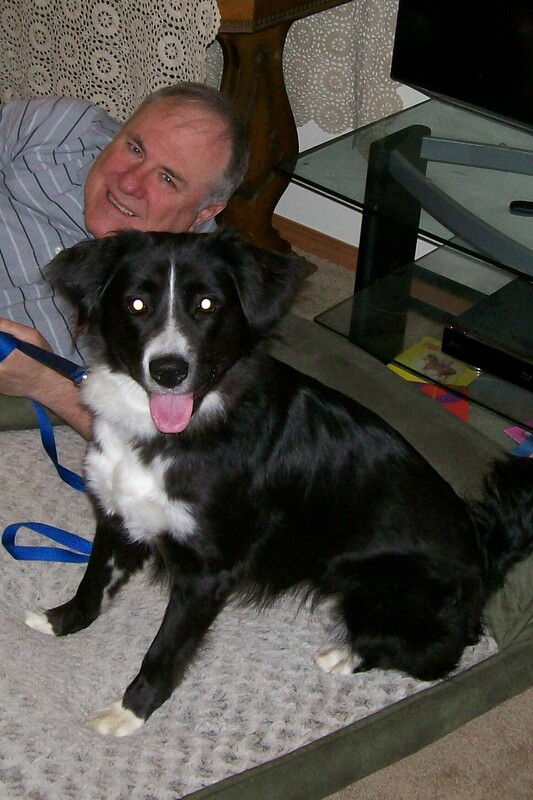 Only last June I invited you to share our joy with the adoption into our family of Lyric, a border collie mix. Tragically, last night the precious girl passed away. And our family is now dealing with the shock and grief that are such a painful (but inescapable) part of loving the pets who join our families. After Lyric had been with us for several months, we saw evidence (excessive salivation and frantic, happy racing around the house) of a health concern. When we later witnessed a seizure that lasted just a minute or two, it was nearly as traumatic to us as it was to her. That feeling of helplessness is horrible, isn’t it? We took precautions to minimize her exposure to that source, but she had several more seizures, weeks apart. Our two vets said that if she experienced a “cluster” of seizures, there were some drugs we could try. However, we never saw any indications of that, so we remained in a monitoring status. Tragically, late last night, while lying beside me as I was writing, she began what became a relentless series of attacks on her system. She briefly stabilized between each seizure, but they grew longer and more severe. Finally, her strong heart (mercifully) surrendered, and she was gone. C.S. Lewis was writing about the death (and resurrection) of human beings in his essay “Some Thoughts,” but his words about the alien nature of death resonate with what I am feeling today. Of all men, we hope most of death [as in, not being the end of all, but a passage to an even more real life]; yet nothing will reconcile us to—well, its unnaturalness. We know that we were not made for it; we know how it crept into our destiny as an intruder; and we know Who has defeated it. Because Our Lord is risen we know that on one level it is an enemy already disarmed; but because we know that the natural level also is God’s creation we cannot cease to fight against the death which mars it, as against all those other blemishes upon it, against pain and poverty, barbarism and ignorance. Because we love something else more than this world we love even this world better than those who know no other. Animals, of course, don’t share humanity’s souls. But when you gaze into those love-filled, adoring eyes of your dog, only someone spiritually blind would fail to recognize there is a precious spark within. 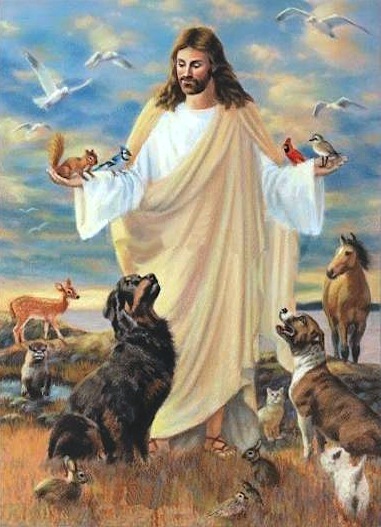 I have written in the past about the possibility of God restoring our pets to us in heaven. I won’t belabor that possibility here. After all, it’s merely conjecture. But, in these moments of grief, many find some small comfort in the possibility of God restoring to life these beloved, and innocent, victims of humanity’s disobedience in the Garden. Last night a new member joined our family. Her name is musical. We didn’t choose it; her previous family did. But we think it fits and she’ll live up to it. It was for far too short a time, but Lyric definitely did live up to the beauty of her name.